Corima is a young US band playing….zeuhl music ! The band formed a few years ago in Texas (!) before moving to LA as a duo and then recruiting new members. This is their second CD (their first is no longer available). Corima music owes a lot to Magma, the album being a succession of personal ideas and heavy glimpses to the Master founder of the Zeuhl genre. 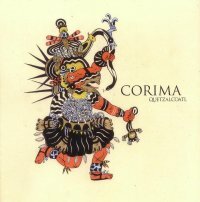 In short, Corima gives us here an album which pays homage to Magma in a very festive way, an approach rather similar to Koenjihyakkei. Enjoy this vibrant album filled with enthusiasm and let’s hope that the band will have the possibility to show their Zeuhl passion on stage in front of US audiences.